The record reveals the following facts. Peraita is an inmate in Holman Correctional Facility. At the time of the incident resulting in the capital murder convictions, he was serving a sentence of life imprisonment as the result of earlier convictions for murder. At some time during his incarceration, he broke off a homosexual relationship with fellow inmate Quincy Lewis and began another homosexual relationship with inmate Michael Castillo. After Peraita began his relationship with Castillo, Lewis often threatened Peraita and Castillo. In the early hours of December 11, 1999, Peraita and Castillo were sitting on or near Castillo's bunk bed in a dormitory-like room housing several inmates. Lewis walked toward Castillo's bed and sat on a bed across from Castillo's, facing Castillo and Peraita. Peraita stood to leave and walk back to his bunk bed. As he did, Lewis stood up and slapped Peraita on his face. Peraita did not respond, but continued walking to his bed. Minutes later, Peraita returned to Castillo's bed. Lewis was still sitting on the bed across from Castillo's, Peraita sat down, remained seated for a few minutes, then stood to leave. However, instead of leaving, Peraita grabbed Lewis's head and snapped it back. Castillo then drew a knife and stabbed Lewis multiple times in the neck and other areas; he also accidentally stabbed Peraita. Lewis died later that morning. On June 4, 2004, the Alabama Supreme Court affirmed Peraita's death sentence on direct appeal. It's been 20 years since three people were murdered in an East Gadsden restaurant, but Jimmie Flanagan can't bring himself to go there for a meal. "I'm in Gadsden quite a lot," he said. "There's not a time that I pass that place that I don't think about it. But I have such vivid memories of that night." Bryant Archer was there when Flanagan and other police arrived. He was clinging to life after being wounded five times during a robbery. After two decades, he says the facts of what happened have largely been forgotten. "Some people, over time, have lost the story," he said. "Some people think everybody died. And the story of the people who did die hasn't really been told." On April 15, 1994, Flanagan was a member of the Gadsden Police Department, just a few months from retirement, when he was called to Popeye's on East Meighan Boulevard. The call was a robbery with shots fired. When police arrived, they found one employee, Archer, bleeding in the office. In the freezer were his three coworkers, all dead. The four had been shot during a robbery around midnight. Cuhuatemoc Peraita, who had been working at Popeye's for only a few weeks, came to the restaurant with another man, Robert Bryant Melson. The two herded the four employees � Archer, then 17, Nathaniel Baker, 17, Darrell Collier, 23, the manager, and Tamika Collins, 18, the assistant manager � into the freezer. After a moment, the two opened the freezer and one began firing. Once they left, Archer climbed out of the freezer and reached for the phone in the office, calling for the police. Flanagan at that time was captain of the patrol division. He is now the chief of police for the Alabama Port Authority. "Right from the start, you could tell how serious this was," he said. "At the time, my son was working in fast food. It was something you tried not to think about." One of his most vivid memories of that night was Archer, who calmly told police what had happened. When he identified Peraita by his haircut, police were able to track down his address using the paycheck he hadn't picked up from the office. He and Melson were arrested within an hour. Peraita admitting to the robbery but told police Melson did the shooting. Police recovered about $2,000 in cash stolen and a .45 pistol used in the robbery which had been thrown in the Coosa River. But police were still at the scene of the restaurant hours later, collecting evidence. "I'll always remember the families outside the restaurant, gathered and waiting," Flanagan said. "It took a long time to process the scene, and they were very anxious." A horrific robbery in a small town with a significant death toll attracted the attention of news agencies across the globe. Flanagan filled in as public information officer that weekend, and found himself answering calls from reporters in Europe and elsewhere. For Archer, though, the story was just beginning. It was days before he learned he was the only survivor, and he began receiving death threats while still hospitalized. For the next few months, it was not uncommon to have a police officer sitting with his family for meals, he said. The years since have been hard as well. Archer is 38, but he suffers from frequent muscle and joint pain due to his wounds, along with nervous disorders. He has been diagnosed with post-traumatic stress disorder, which is the reason he says he finds it hard to associate with anyone. "I'd rather stay around my family and keep to myself," he said. "It's easier to deal with things. At night, I have a hard time going places since I got shot at night. By 7 or 8 o'clock I'm usually at home. I don't carry a lot of cash." Archer hasn't held a full-time job since 2006, mostly because potential employers are hesitant to take on someone in his medical condition for liability reasons. He is married and the father of two teenage children. He has some contact with the families of those who died at Popeye's, but he worries that his coworkers aren't remembered. Baker, for instance, was a classmate of his at Gadsden High, who Archer remembers as a jokester. The occasional joshing between Baker and Archer resulted in both being kicked out of an English class. Occasionally, one would fill in for the other during shifts at Popeye's. He said Collins was a level-headed person intent on doing the best job possible. "She would make sure we did what we were supposed to," he said. "She was in college and trying to figure out what she wanted to do in life." That April night was the first night he had worked with Collier, who was a new father. "I can't change what happened," Archer said. "I don't even consider myself a victim. They were young. They had a promising life just like I did." What seems hard to believe, Archer said, is that 20 years later, both Melson and Peraita are still on death row. At the end of Melson's April 1996 trial, jurors convicted him of capital murder and recommended the death penalty. That May, a judge sentenced Melson to death. Over the years, Melson has filed numerous appeals through state and federal court. In February 1996, Peraita was convicted and sentenced to life without parole. 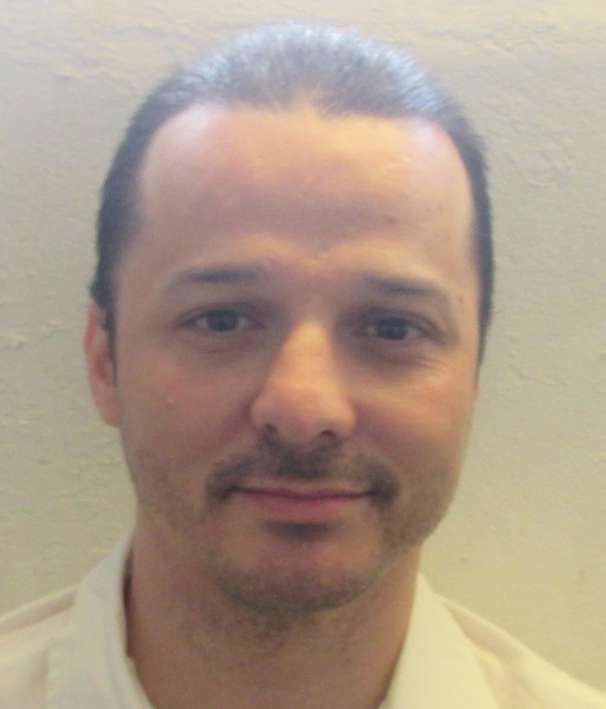 He has since been moved to Alabama's death row after he was convicted of killing a fellow inmate while serving his life sentence. "They want to live longer, but they didn't really give any of the people who died a chance to live," Archer said. Last year, Archer told the story of that night in the restaurant to a group of residents in Etowah County as part of "Run, Hide, Fight" training for active shooter situations. He had hoped more people would be there to hear, since the news often is occupied with reports of a shooting somewhere. Though time has passed, he fears people will lose touch with the memory of April 1994. "Twenty years ago, this city was different," he says. "The buildings are the same, but the heart is different." Flanagan said he is friends with Archer through social media, but has never asked him about that evening. "I wouldn't want to bring it up," he said. "I know it's been hard for him." An uninformed opponent is a dangerous opponent.